A successful business is typically thanks to valuable customers. Gifting them with a special and unique appreciation will strengthen your ties and show them how valued their patronage is. 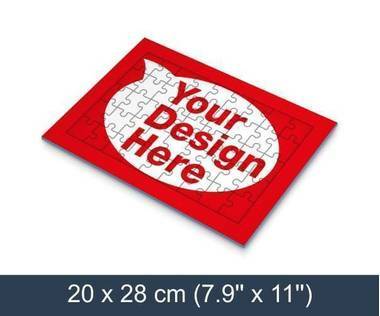 Your special message can be printed on one or both sides of the tray puzzle and include your unique design. This makes for a special gesture as well as a creative marketing message which your customers will enjoy.